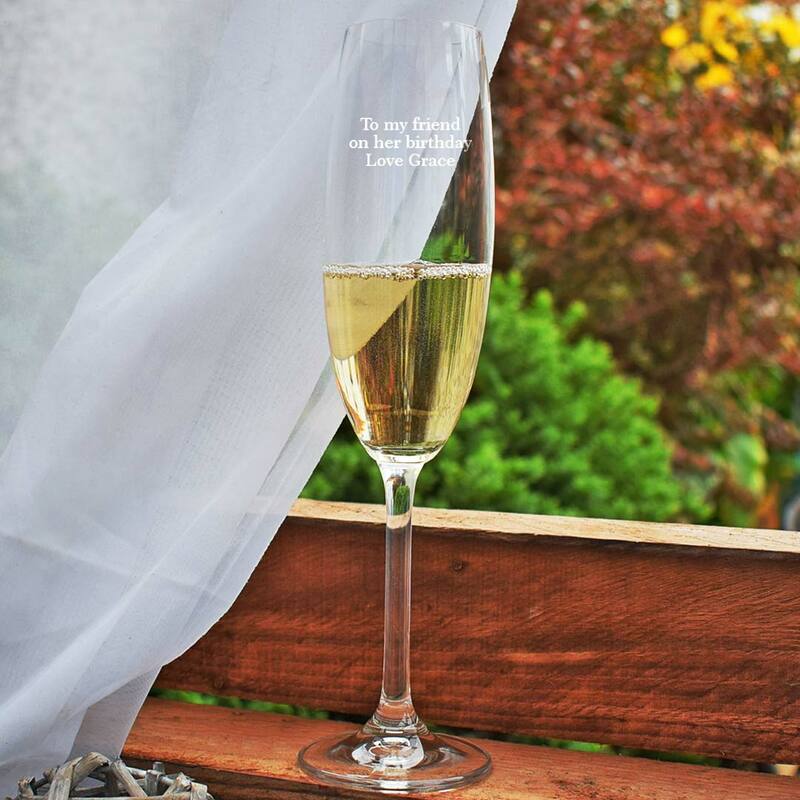 Toast the couple's new life together in style with a crystal champagne flute, personalised with your special message. The flute itself the finest of quality making a lovely memento for years to come. 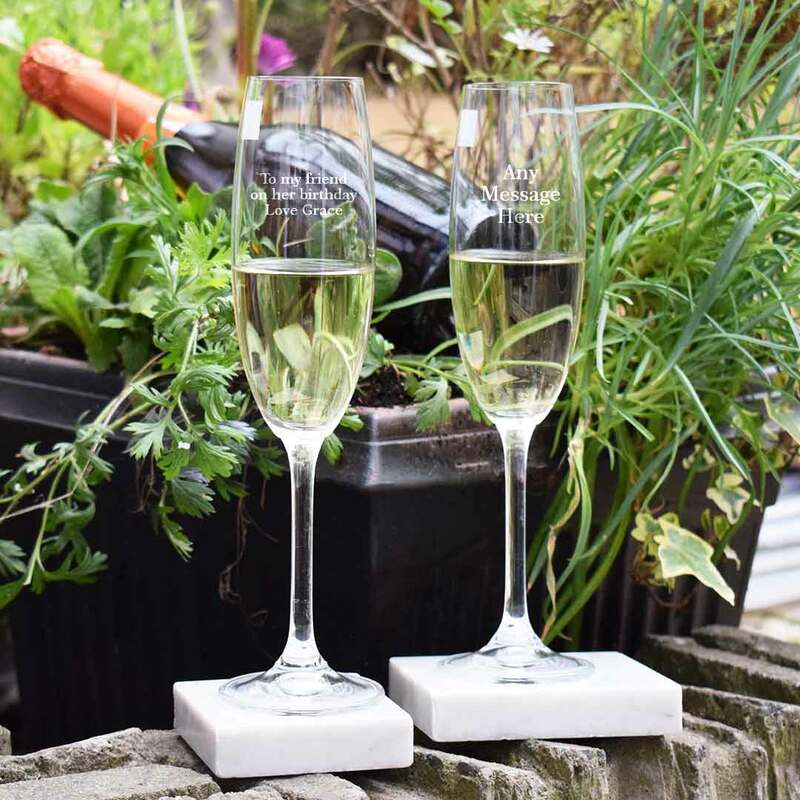 What better way to celebrate a special occasion than by drinking to a happy life with the ones you love.